. . at Bedwell Park – possibly after seeing what the firm had done for his father at Poles Park. 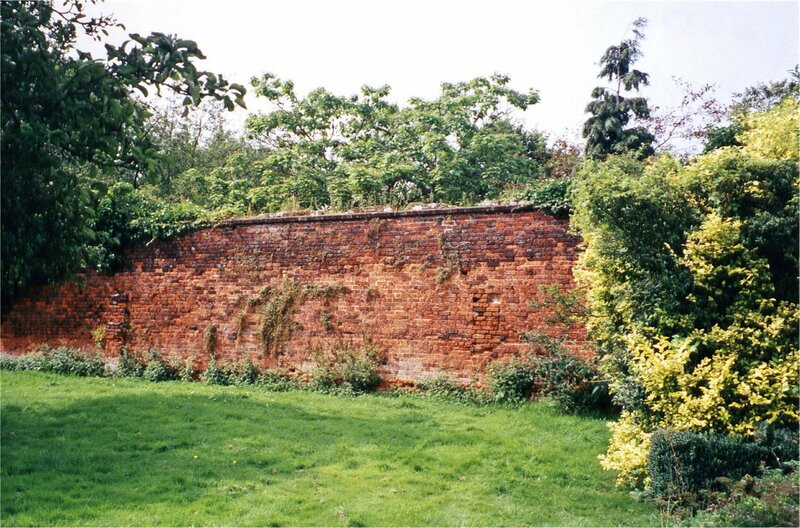 There was a Walled Garden at Bedwell Park, only about 80 yards away, and in direct line of sight from the house, and the idea was to screen the tall, blank wall from view – in much the same way as the rockwork in Battersea Park was built to screen the view of Clapham Junction railway station, discussed in Chapter 6 of the book. The wall is about 15-18ft high, and, when I visited in 2002, was still in very good condition, and reasonably maintained. Fig 1 is a picture of the blank wall, taken from inside the garden, and Fig 2 shows the outside – which is about 50 yards long, and visible from the house. It is covered with Pulhams’ rockwork ‘cliffs’, which extend a short way round the corners at each end, and there are planting pockets all along it. There is the entrance to a small tunnel about half way along the wall – shown in Fig 3 – and this turns out to be the entrance to what must have been the fernery or ‘root house’ mentioned in Pulham’s notes. It is quite small, quite out of sight, and used to have a glass roof, but that no longer exists. 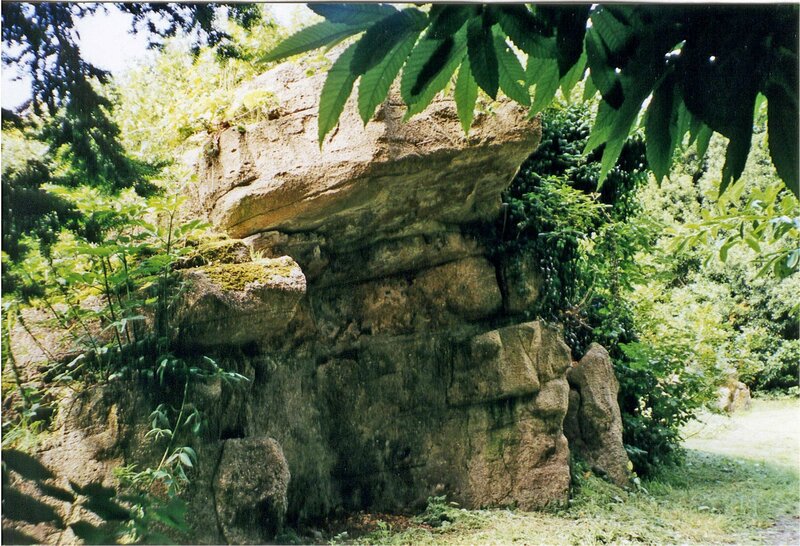 There is also a small grotto, or dropping well, at the left end of the wall, and this is shown in Fig 4. Walking back to the house from the ‘cliff,’ I noticed a typical ‘Pulham face’ on the wall of the house, between the two windows, shown in Fig 5. 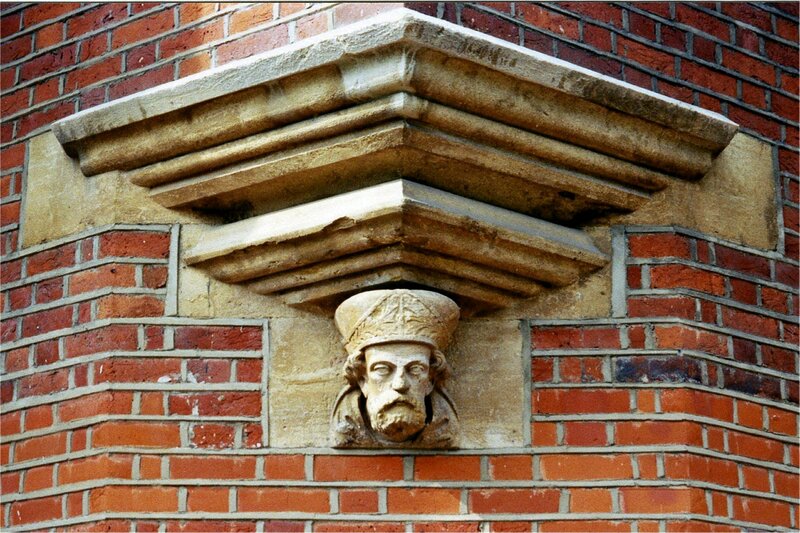 Pulhams often modelled faces to adorn the outside of doors or windows, and this is believed to hark back to the superstition that they helped to keep the evil spirits at bay. 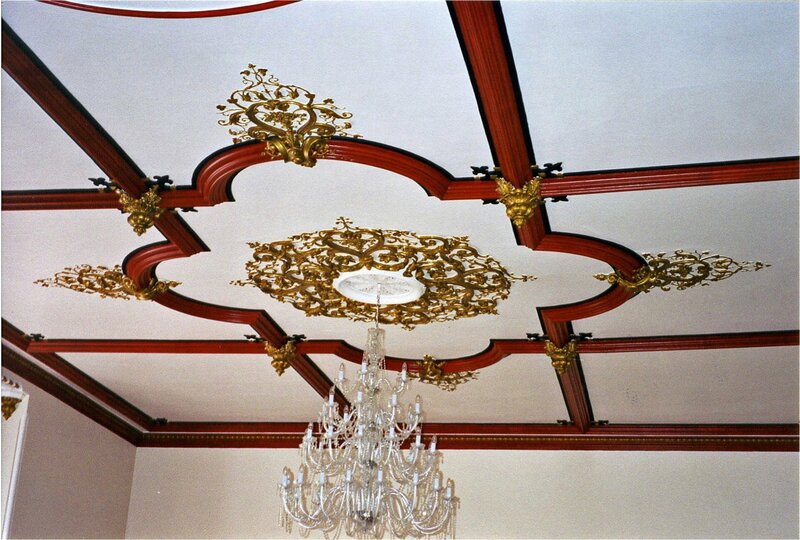 Looking in through the windows, to what was then the dining room of the London Hatfield Golf Club – soon to be sold for redevelopment – I then saw a freshly painted plaster ceiling, shown here in Fig 6. The Pulham craftsmen used to be expert plasterers, and elaborately ornate plaster ceilings can be found at many places where the firm are known to have worked on landscaping projects, so – although I have so far found no documentary evidence to substantiate such a claim – I like to think that these may be further examples of their work. 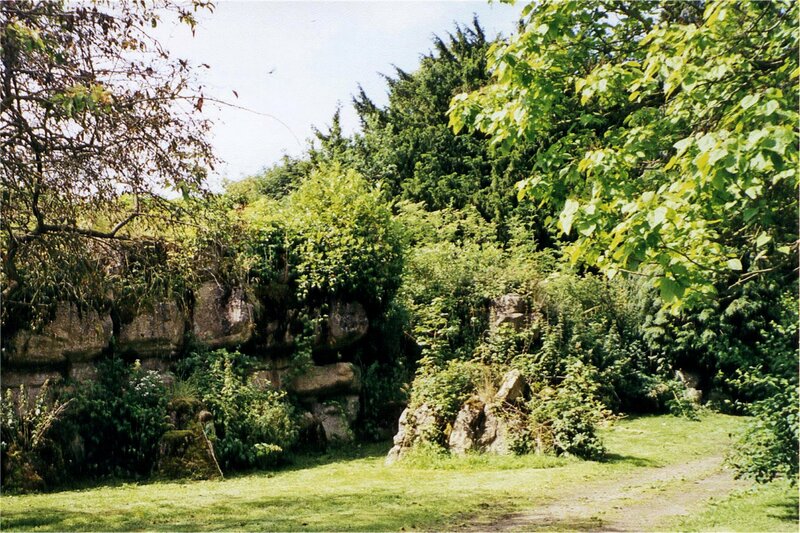 Posted on September 1, 2011 June 4, 2016 by Claude HitchingPosted in Sites Month 2Tagged . . James Pulham and Son, Bedwell Park, dropping well, fernery, grotto, kitchen garden, plaster ceiling, Pulham face, pulhamite, Robert Hanbury Snr, rockwork 'cliff', root house. The ceiling photographed covers the original which is fragile and thus needed protection. The dining room mentioned above used to be the ballroom of the house but when I was there it was a multi-functional place complete with climbing ropes, a drop down gymnastics bar and wallbars. All has now changed and the whole place has become converted to flats.